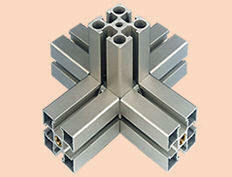 MiniTec UK Ltd is one of the leading manufacturers of modular aluminium profile building systems used throughout Industry, Leisure and Retail. The aluminium profile system was pioneered at the South West Germany facility whilst here in the UK, the Basingstoke operation offers a complete sales support, engineering and design, custom manufacturing and installation service. Why would you choose MiniTec? Aluminium profile building systems are common enough but the MiniTec approach is based on a very important feature which gives the company a unique edge on many other suppliers: keeping it simple in order to save time. Keeping it simple – from design to installation. 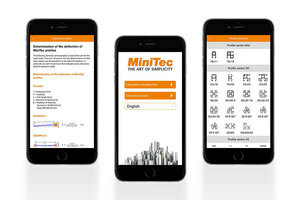 At the heart of the MiniTec system is the unique Powerlock ® fastening method which requires no specific preparation, pre-machining or special tools and uses standard off the shelf fasteners. The use of standard fasteners reduces the cost of the overall package of profiles and locking system considerably compared with many other systems which incorporate brand specific locking systems. Thus the only tool required to set up or dismantle a system is an Allen Key. The intuitive online selection and design tool allows you to design the product/system of your choice by taking you through a series of steps to select dimensions/shape and design and other options such as workstation/desk top material. Of course if you would prefer, the team in the UK facility will be happy to offer advice on the design options for your project. Whilst the majority of the manufacturing work is carried out at the Basingstoke facility, larger more complex projects may require on site surveying and clarification of manufacturing issues which may be present in order to define the optimum design, manufacturing and installation process. Our team has vast experience installing projects not only in UK and Europe but also in the Far East, Middle East and South America.